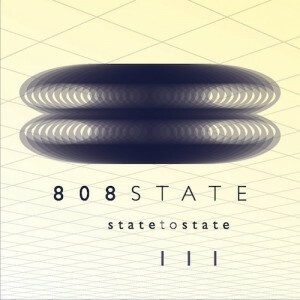 808 State formed in the late 80s’. This Manchester, England-based group made a couple EPs that quickly lifted them to crossover success with their single “Pacific State” in 1989 during a time when the UK club scene became fascinated with house music. In the early 90’s, 808 State soon found collaborations with Bjork and Bernard Sumner of New Order. Hard, throbbing nuances of unapologetic bass and drums thrash against each other while swipes and scores of guitar, synthesizers and slices of delectable sounds engage, like on the hard line groove of “Argento Nastro” creating a world where a cold, calculating onslaught of steely cold machines live. Instrumental scores of oscillating clips of high hat, claps, and strikes of keys illustrate a sound so devoid of human touch, its impressive. “Kabuki Disco” offers a lit pathway into a darkened alley, by way of a driving bass line as the only harmony that sews the beats together. Churning raw techno elegance decorates an album no doubt celebrated by both artists and fans of such acclaimed pioneers of the genre. The album can be purchased from the band’s website.